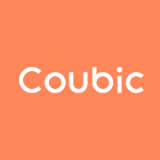 How to send messages to customers – Coubic Inc. Customer will enter an email address when making an online reservation, which will always be accessible for the service provider through customer information. Also, if a customer has Coubic account, you can send out message via Coubic's built-in message feature, which is optimized for mobile users.